I’m John Clark, news director here at News Talk 1010 WCSI. I hope you will join us on Saturday and Sunday mornings for News and Views, our weekend news show where we talk to local news makers about issues and events of interest in our community. Among our regular guests will be folks from the Columbus Area Chamber of Commerce, Columbus Area Visitors Center, Columbus Regional Hospital and the Community Education Coaltion. Plus News Editor Chris Lowe and I will talk about the week’s news and what’s coming up in the week ahead. News and Views is brought to you each week, in part, by the Columbus Area Railroad Club, located in Johnson County Park. You can catch it at 9:30 a.m. on Saturdays and again at 9 a.m. on Sundays. 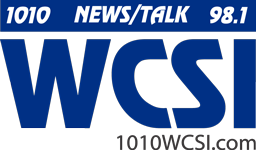 Hope to see you this weekend at News Talk 1010 WCSI for News and Views.